This has been a long time coming. A three-row, seven-passenger SUV at the top of BMW’s SUV food chain is something that the brand has needed for some time now. With a few of its competitors having their own cars in the full-size luxury SUV segment, BMW was left out in the cold for a long time. Now, though, Bavaria has its own massive luxo-ute, something to contend with the Mercedes-Benz GLS-Class and Range Rover — the BMW X7. To be more specific, the X7 is BMW’s largest “SAV”, which stands for “Sports Activity Vehicle” in BMW-speak. 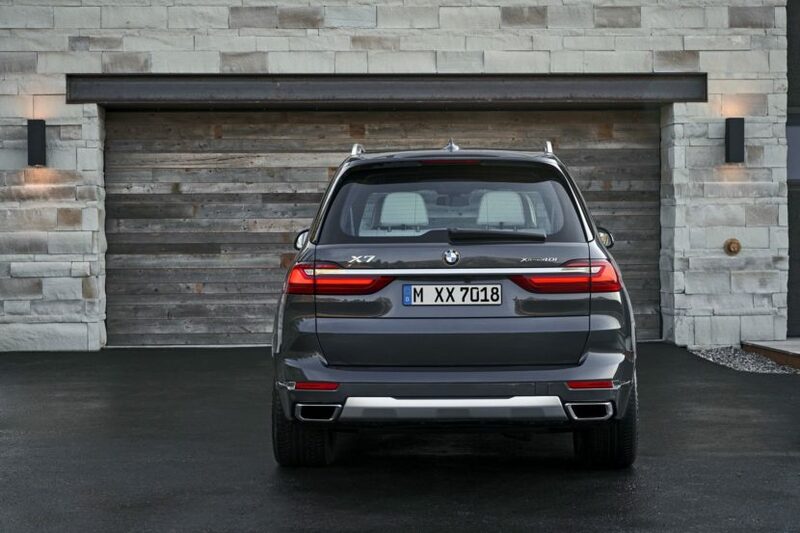 Semantics aside, the BMW X7 is the first of its kind and the brand’s first, true three-passenger SUV. And it’s big. Like, really big. Standing at 5,151 millimeters (16.8 ft) in length, 2,000 millimeters (6.5 ft) wide and 1,805 millimeters (5.9 ft) tall, and with a wheelbase of 3,105 (10 ft) millimeters. So it’s basically a metal mammoth with some BMW badges. What’s interesting is that it looks, in our opinion, better than the Concept that preceded it. The BMW X7 Concept was pretty universally panned by enthusiasts, who felt it was too big, too over-styled and too obnoxious looking. However, the production version looks a lot better. It’s smoother, more elegant and more sophisticated. Yes, its grilles are large enough to inhale any sort of small-to-medium-sized rodent that might cross the road, far before you could run it over. Think of that as a safety feature, lest you damage your bumper or soil you expensive tires. Even still, it’s a handsome and stately thing. It actually surprised me, when I first saw it, how much I liked it. Is it perfect? No. Its 7 Series-style hockey sticks on the side are larger than ever before and look a bit silly and its headlights, while fine looking, are a bit too slim which make it look like its squinting. Overall, though, it’s a handsome brute, with a stately stance and good proportions. It looks like a big, luxurious family hauler because it is one. I especially like the back end of it, which just looks right. Not too much fuss but not too boring, either. Just right. On the inside, it looks very handsome and very sophisticated, even if it isn’t too different from its less expensive sibling, the BMW X5. 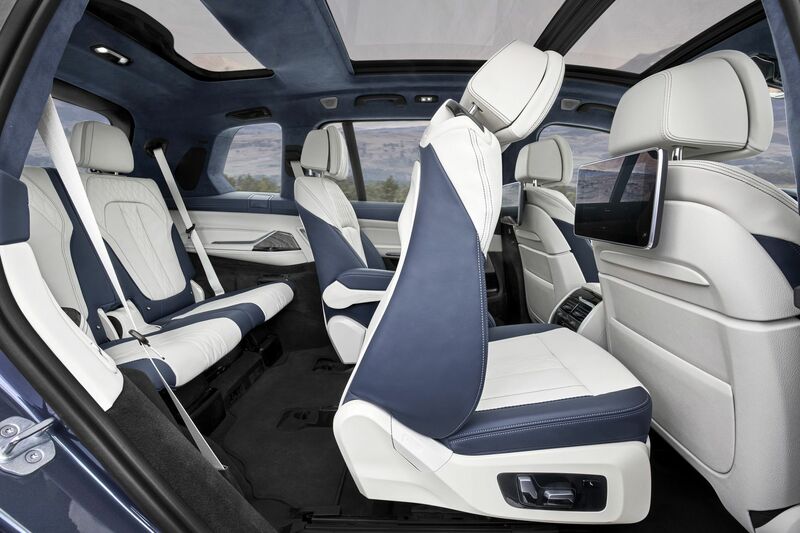 If you’ve seen the new X5, the design is largely familiar, save for the three rows of seats and (optional) second-row captain chairs, obviously. Though materials are obviously a bit nicer and it’s, well, bigger. What’s nice, though, is that the center stack is still slanted toward the driver, like a proper BMW’s should. In the press photos we see this BMW X7 sporting a new, two-tone color scheme, in a sort of cream and and blue. It’s a different look for a modern BMW but it looks interesting and luxurious. The matching blue Alcantara headliner looks the business, though. The third row also seems to accommodate adults, with some decent looking head and leg room. Hell, it even sports its own climate controls with metal switchgear, which is a very nice touch. In fact, all of the switchgear in the car seems to be metal, even the switches to fold the second-row seats down to let the third-row passengers out. Like John Hammond, BMW has seemingly spared no expense. Powering the BMW X7 will be a suite of engines. 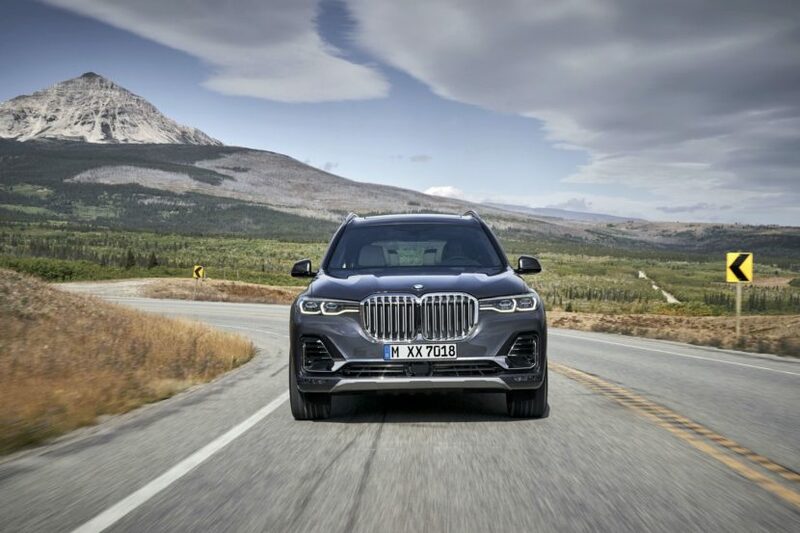 For America, there will only be two X7 variants and powertrains; the BMW X7 xDrive40i, which will pack BMW’s famous B58 3.0 liter turbocharged inline-six, making 335 hp and 330 lb-ft of torque and getting from 0-60 mph in 5.8 seconds; and a BMW X7 xDrive50i, which will pack a 4.4 liter twin-turbo V8, making 456 hp and 479 lb-ft while hitting 60 mph in 5.2 seconds. Europe will get those engines as well but will also get two new diesel options; the BMW X7 xDrive30d, which will get a 3.0 liter turbocharged I6 diesel engine that makes 256 hp; and a BMW X7 M50d, which will get a quad-turbocharged I6 diesel making 400 hp and 560 lb-ft of torque. 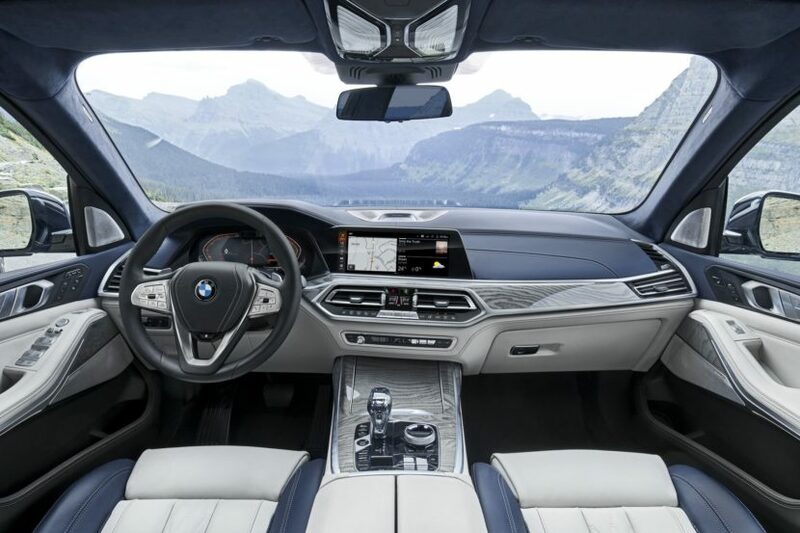 All X7s are equipped with an eight-speed auto transmission, sending power to all four corners, which are cushioned by an adaptive air suspension system. All engines are paired with a ZF-sourced eight-speed automatic gearbox and xDrive all-wheel drive as-standard, as their names imply. 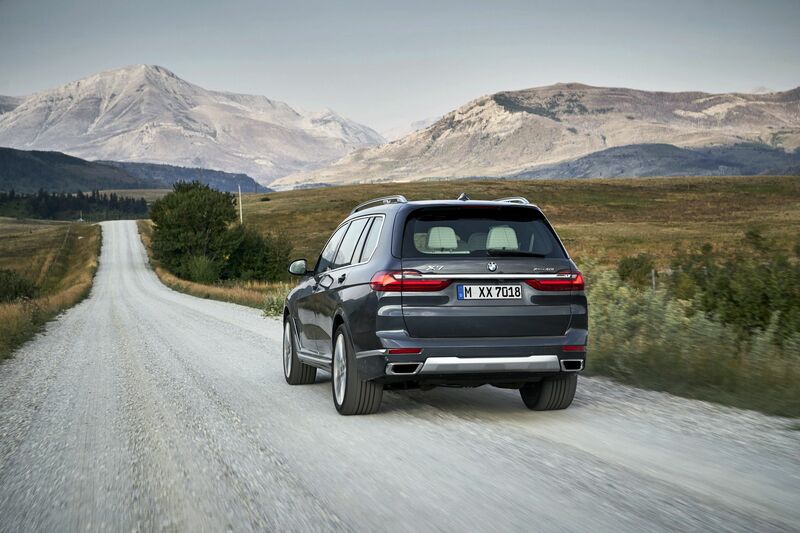 And BMW seems adamant that the X7 can handle itself, moderately, on some rough terrain. With four new driving modes – xSand, xGravel, xRocks and xSnow (did they have to put ‘x’ in front of all of them?) 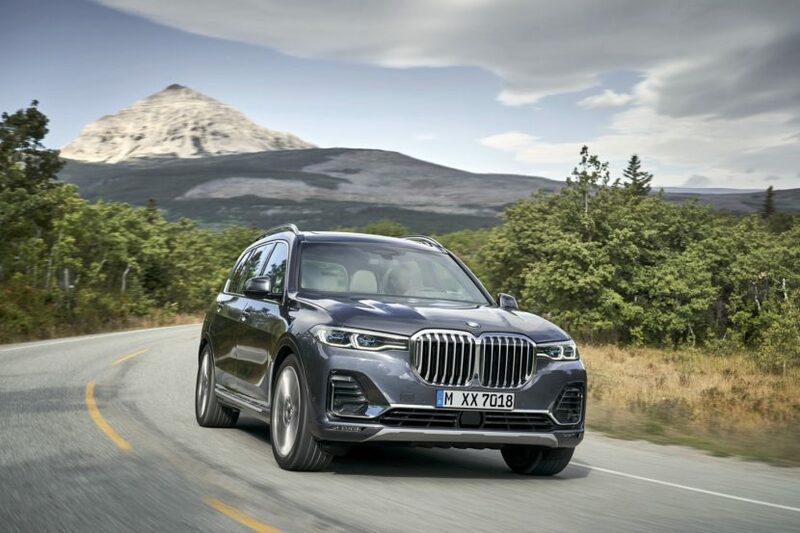 — and an optional off-road package that brings a front skid-plate to protect its radiator and oil pan, the BMW X7 can handle itself if the road gets muddy. Basically, if you’re trying to get to your cabin in Lake George and the road gets a bit sloshy, you’ll be fine. In fairness, we did test pre-production models in South Carolina, in the woods, in the mud, and the X7 held up admirably. It’s no Range Rover but it won’t fall to pieces if you have to traverse a rough dirt road. All X7s models receive a two-axle air suspension that automatically adjusts its height based on road conditions. Drivers can also adjust the position manually with the push of a button, up to 1.6 inches above the standard setting. A Dynamic Handling package is available with M Sport brakes, integral active steering, and on 50i models, the M Sport rear differential. The list of options is equally impressive. Or massive – four-zone climate control, a 10-speaker audio system, wireless charging, and a Wi-Fi hotpot, head-up display, soft-close automatic doors, panoramic sky lounge LED roof, heated and cooled cupholders, and a rear entertainment package with a pair of 10.2-inch touchscreen displays and DVD player. 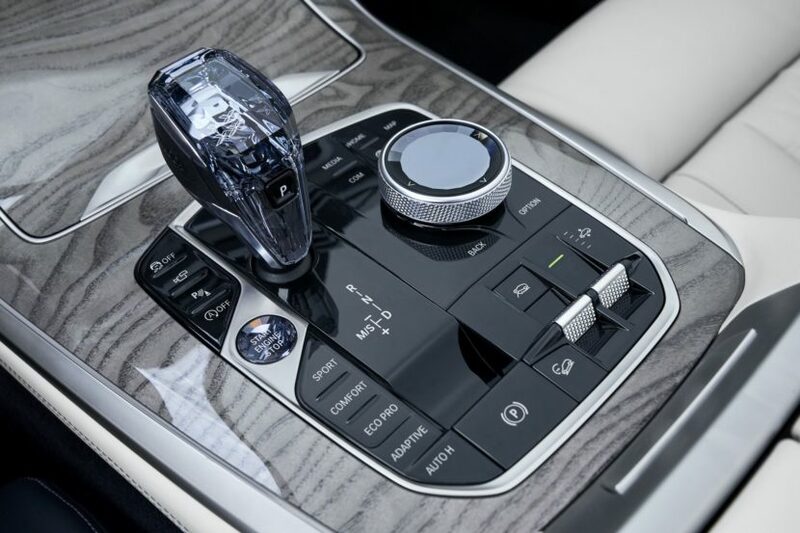 The optional glass application for the gear shift lever, stop/start button, infotainment system controller, and volume knob, takes the interior quality to a new level. 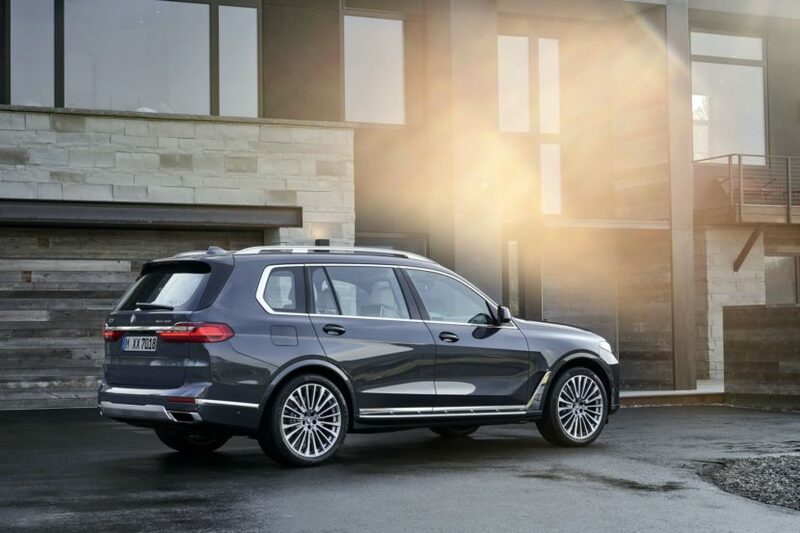 Just like the new G20 3 Series, the Siri-like voice-command system that responds to the prompt “Hey BMW” is part of the X7’s offerings. Standard wheels measure 21 inches in diameter. 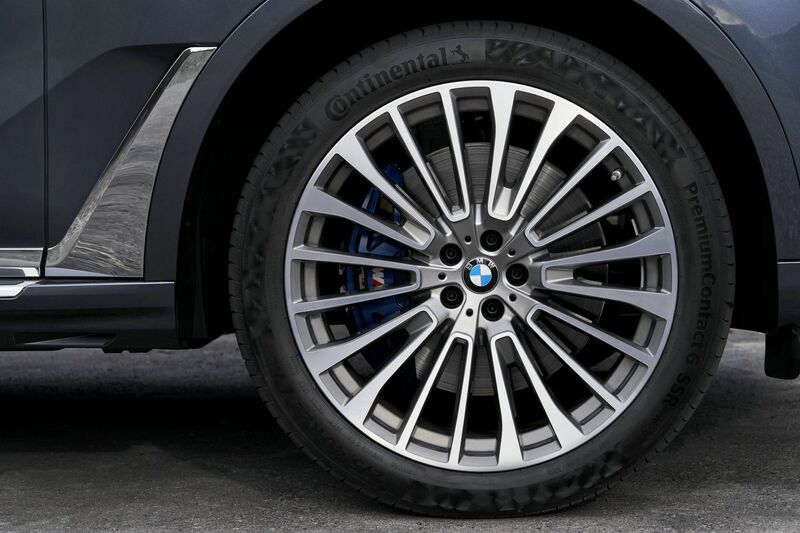 The optional 22 inches are paired with staggered tires—275/40s up front, 315/35s in the rear. 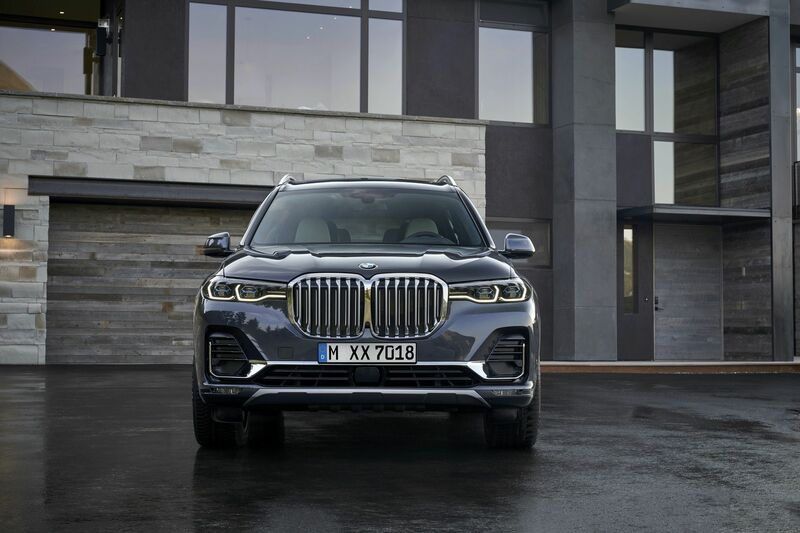 Weighing in at 5m370 lbs for the six-cylinder xDrive 40i model and 5617 lbs for the V8-powered xDrive 50i, the X7 is the heaviest car BMW makes. 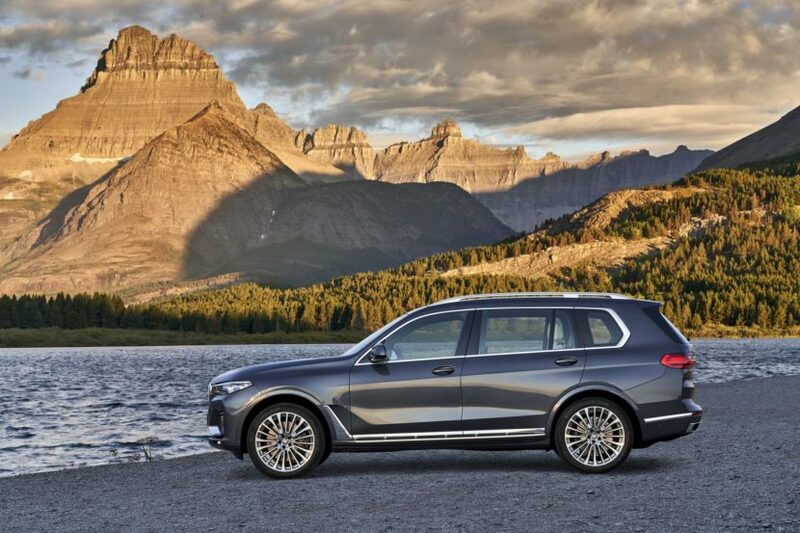 Mainly, though, the BMW X7 is designed to be the massive, uber luxurious, seven-passenger SUV for the upper-class families that want luxury but need space. Honestly, it fits that bill perfectly. It looks the part, being both imposing and sophisticated, it has a superbly finished and hugely capacious interior and all of the performance and handling chops anyone could ever ask of such a large vehicle. Mercedes-Benz has been dominating this segment for some time now but the newcomer from Bavarian seems to have what it takes to tackle the Stuttgart-staple head-on. 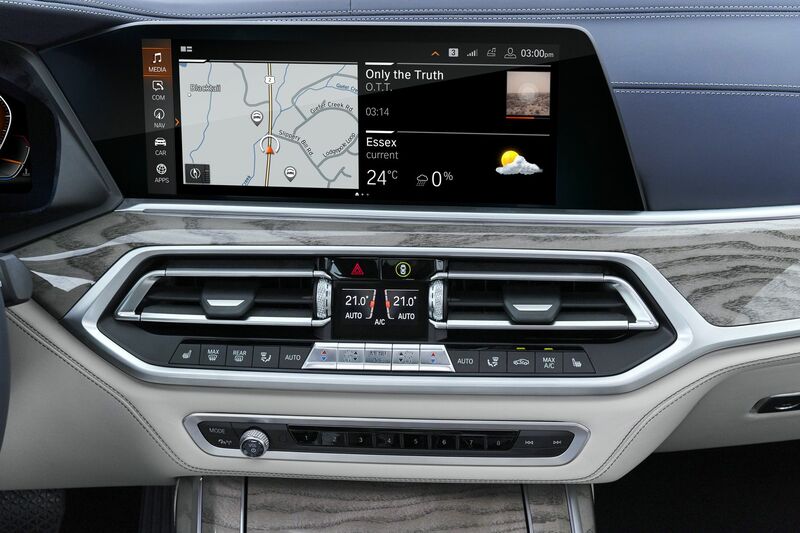 Customers can pre-order the X7 online. Pre-ordering begins this month, and those who go through the process will receive priority vehicle production. Prices begin at $74,895 for the 40i and $93,595 for the 50i.